When it comes to the best annual flowers for full sun, you will have lots of choices. They are available in packs of 3 to 6 plants. Sometimes, they come grown in small containers, about six inches. Remember that the flowers will only be available for a few days. It’s the leaves of the plants that are going to support the growth of the flowering for the entire season. It is important that you plant your annuals immediately as soon as you receive them, for as long as the weather is good. 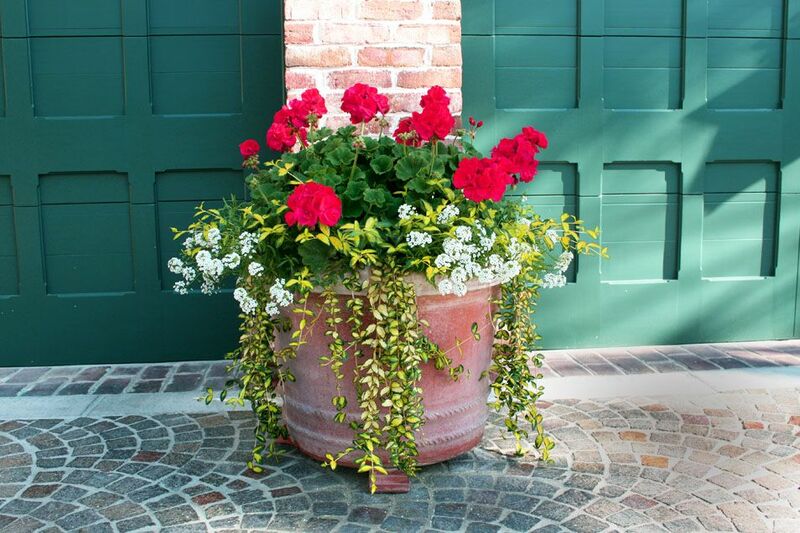 But if you must delay planting the annuals, then leave them in their original container. Most plants should be fine in their original container even after a couple of weeks. You just need to make sure that you water them regularly since they tend to dry out more quickly. 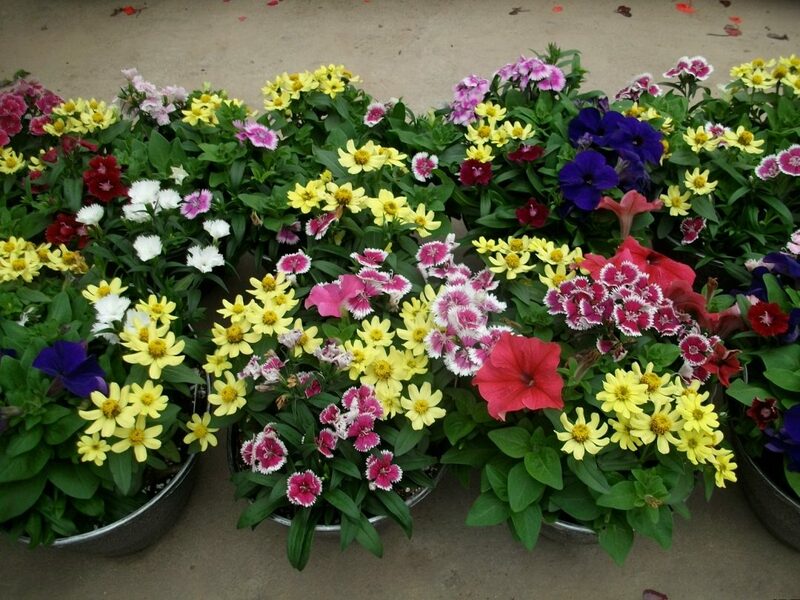 Even if you will plant the annuals immediately after buying, make sure that they are wet. This is especially true in the midst of a warm weather. So here are the steps on how to plant your annuals in a container. •	Begin by covering the drainage holes of your pot or container, especially if they are huge enough to allow for the soil to wash out. After this, fill the pot about two thirds full of potting mix. 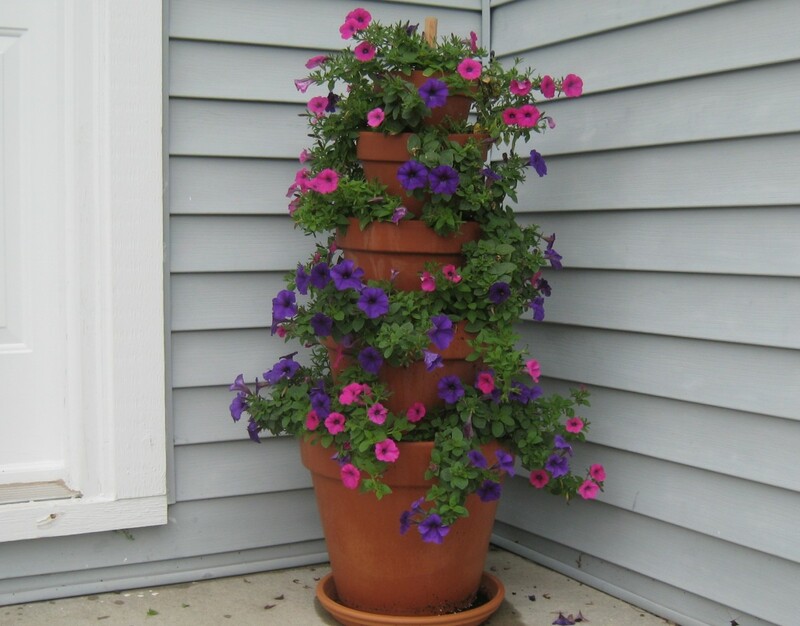 •	Sit the flowering plants in the container so you can decide on the arrangement. •	Remove your plants gently from their containers then nestle the plants into the soil. Keep an eye on the depth and ensure that they are planted on the same level that they were on their original container. •	Pour soil in between the plants, while gently firming it with your fingers. You have to be careful not to press it hard enough as it could break the plants. •	Make sure that everything will be on the same level and that there are no roots showing. •	Move the container into your chosen spot and water it thoroughly until such time that the water runs at the bottom. Make sure to keep a close watch in watering the full sun flowers especially in the first couple of weeks while the roots are still starting to grow and the plant is getting established. Continue to monitor the moisture level of the soil all throughout the entire season. Growing annual plants under full sun, especially in containers, can be a bit challenging. But if you choose those annual flowers that can withstand full sun, then everything should be fine. These varieties are highly tolerant of these weather conditions. A lot of these full sun plants are tolerant of arid and drought conditions, which makes them perfect for potted environments. So here’s a list of some of the best annual flowers for full sun. Petunias are among the most beautiful flowers to plant if you want to provide your yard with long term colors this summer. The flowers can also help to brighten those dreary and dull borders with its lovely pastel shades. What’s good about these annual flowers is that they are easy and simple to grow and maintain. 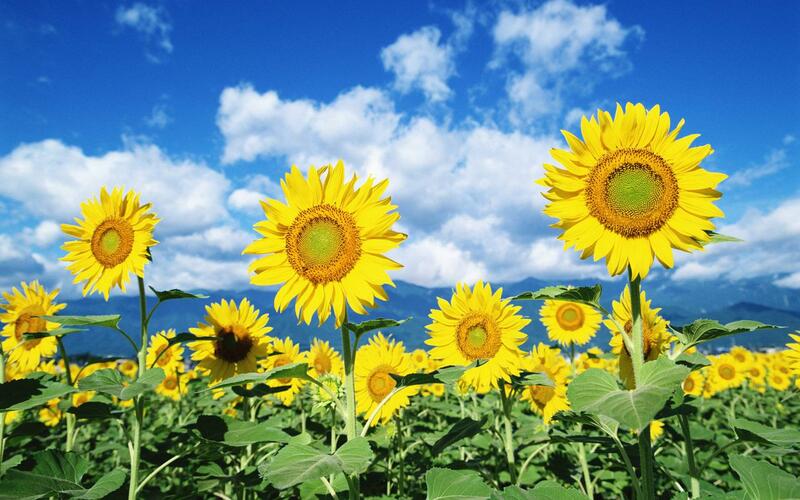 The sunflowers are among the easiest flowers to grow in your garden. They are also easy to maintain and this is why they are frequently being introduced to new gardeners who are looking for an interesting flower to plant in their garden. Planting the black and white seeds of these giant flowers is just the same as planting any type of flowering plant from seed. Marigolds are perhaps among those flowers that you can remember growing up. These flowers are a favorite among gardeners and landscapers. Aside from producing bright and beautiful blooms, they are also easy to care for. Even if you are new in gardening, you can start growing your own marigold in your own yard. Geraniums are among the most popular bedding plants in a garden, although they are also commonly grown indoors. Sometimes, they are hanged in baskets and placed in the patios or sunrooms. But most of the time, these annual flowers for summer are being grown in containers. These plants are so easy to grow as long as you give them enough water. 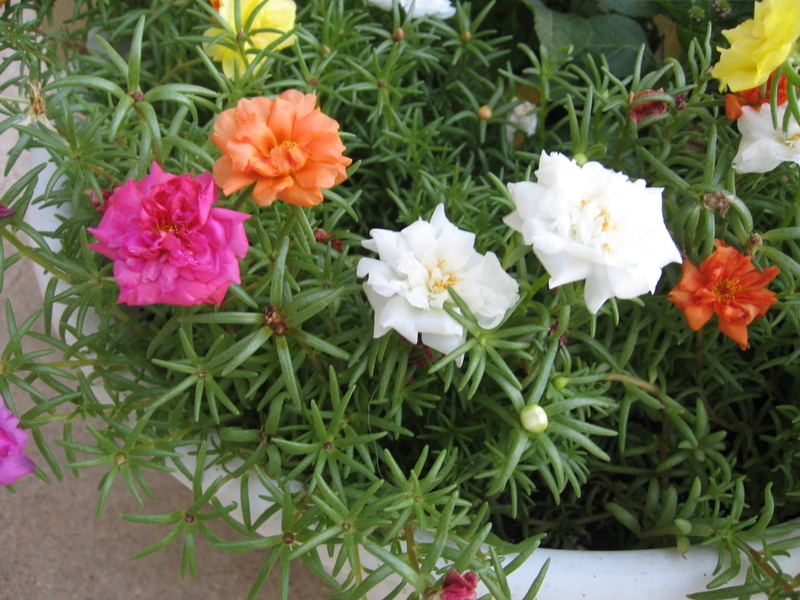 The moss rose, also known as Portulaca, is a truly beautiful annual flower to grow in your garden. These plants are native to Uruguay, Argentina and Brazil. They are so easy to grow and maintain and can tolerate all kinds of soil although it prefers a sandy and well drained soil. Being one of the best annual flowers for full sun, the flowers will thrive well under a full sunlight. The Zinnia flowers are very colorful and can surely make any garden to stand out. Their perky blooms will usually appear during summer. It can thrive well to those in the sunny areas. Growing the plant is inexpensive especially if you choose to grow from seeds. The seeds of this flowering plant must be sown directly from the flower bed since its developing roots don’t want to be disturbed. If you don’t like any of the above annual flowers list, then check out some of the newcomers. With the new annual flowers for 2017, you get to choose from plants that look like miniature sea creatures and flowers that changes its colors. Here are some of the best choices that can give color to your garden. 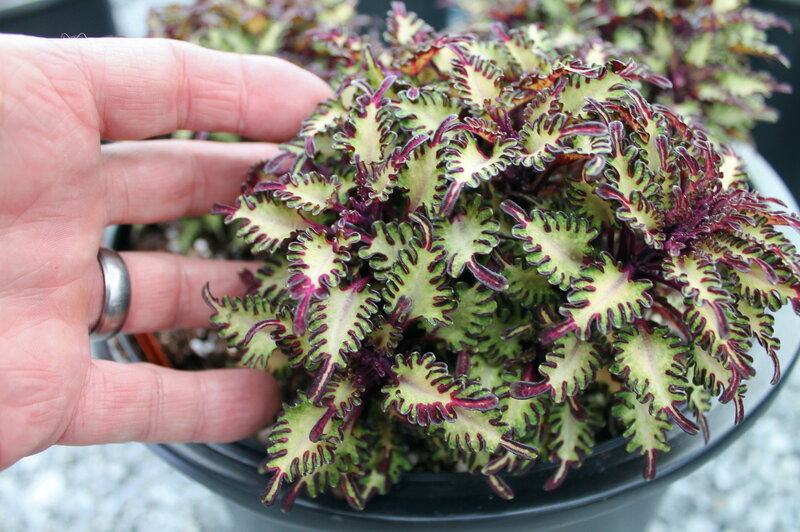 The Sea Monkey Purple is among the latest line of miniature Coleus that are known for its brilliant colors and unusual leaf shapes. The Coleus Sea Monkey is also available in other varieties, such as Apricot and Rust. It can grow within five and seven inches and are great for use on rock gardens, miniature gardens, borders, terrariums and mixed containers. Next in this annual flowers list of 2017 is the Calibrachoa Chameleon Sunshine Berry. These petunia lookalikes tend to change color from one season to another, which makes it an interesting flowering plant to grow in your front yard. There are other Calibrachoa lines that you can check out. You get to choose from eight different patterns and shades and can be planted in a pot plant or in a hanging basket. But of all the Calibrachoas, the Chameleon Sunshine Berry is truly unique. 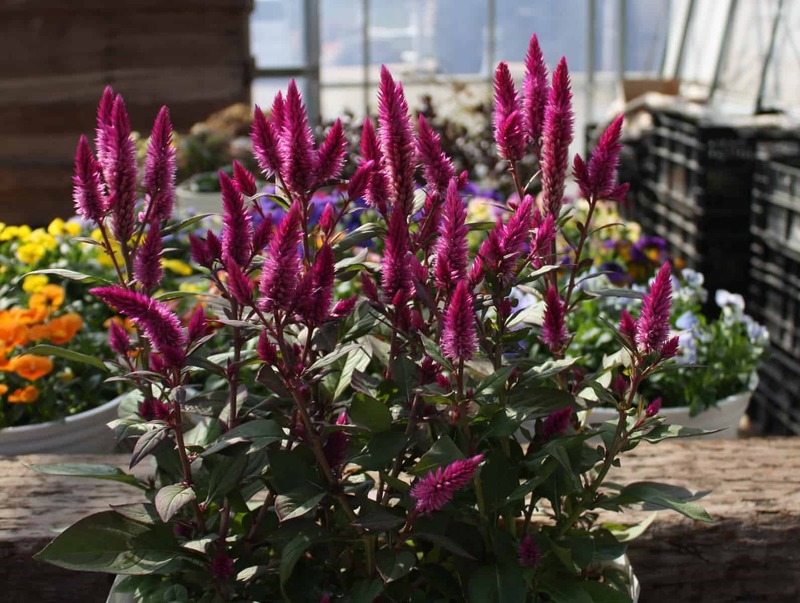 The Asian Garden variety of the Celosia is the latest annuals that have gained so much popularity among gardeners. This plant features a bushy three foot tall habit and produces a steady supply of bright pink blooms all summer until the first fall frost. The Asian Garden has recently won in the 2017 All-America Selections award. It has been noted for its ability to attract pollinating insects, which makes it a perfect flower for pollinator friendly garden. The Verbena EnduraScape Pink Bicolor has landed the third spot in the All-America Selections flower contest for 2017. The Verbena features dainty pink and white bicolor blooms and is hailed as tough as the nails due to its ability to tolerate heat and drought. This annual is a long bloomer and can be used as edging in the ground or planted in a pot or hanging basket. The name of this new petunia variety comes from its white spotted petals, which resembles the twinkling stars in the night sky. This beauty is definitely one of the most sought after new annual flowers for 2017, having received various awards, like the best new annual flower and Fleurostar award. The plant can grow to a maximum of ten inches, which makes it an ideal plant to grow in hanging baskets and pots. The last but definitely not the least in this annual flowers list for 2017 is the new Mega BloomVinca variety, the Mega Bloom Orchid Halo and Pink Halo. This is the latest in this line of annuals that has earned the 2017 All-America Selections awards. These huge three inch flowers are truly a stunner and being one of the annual flowers for summer, this flowering plant can hold up well in the hot and humid conditions. Several years ago, if you will decide to grow annual flowers in your yard, you will be left with only a few choices. Nowadays, there is already a long list of the best annual flowers for full sun as you can see above. But regardless of the flower that you choose to grow, do not forget to water it regularly.